The process of the artwork #sculptogram involved using a social network for one month in a collaborative way. Users were invited to post a photo of a word they found around them. 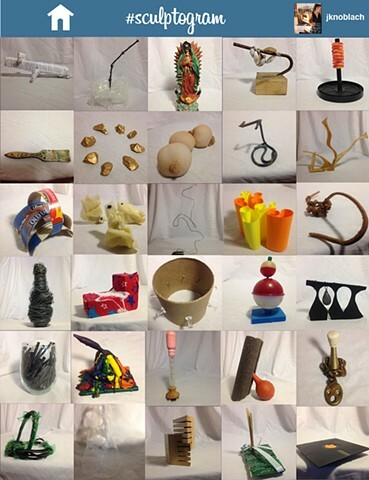 Each day, following the daily “found word” stimulus, a sculpture was made by the artist utilizing found objects as material. Ultimately, images of these were posted on the social network for display.